Open5GCore maintains backwards compatibility with LTE/EPC as expected for the 5G NR NSA, LTE and NB-IoT LTE. 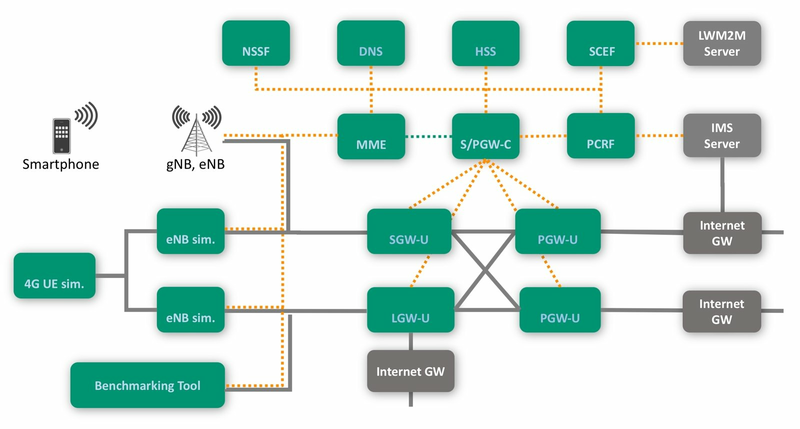 The 4G core network functionality is maintained for convergence and for demonstration purposes (until cost effective 5G NR prototypes are available). The 4G core network interoperates with most of the commercially available eNBs and 5G NR NSA RAN which could be used with COTS phones.